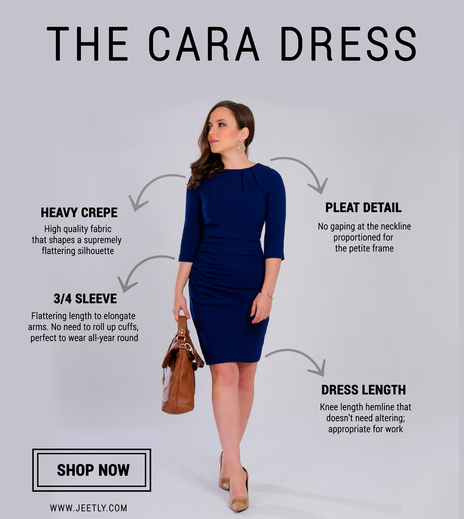 A beautifully tailored petite dress in heavy crepe that shapes a supremely flattering silhouette. 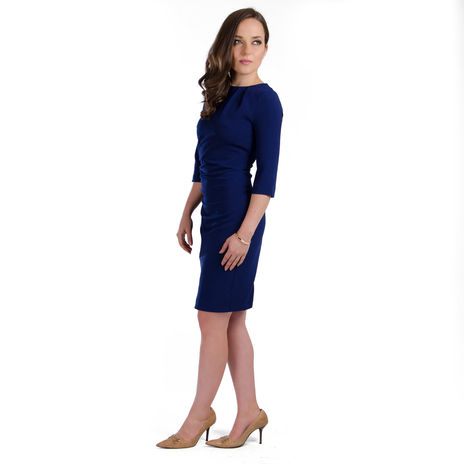 This dress is fully lined, features a crew neck with pleat detail, ¾ length sleeves and fastens to the back with a concealed zip - where it also has a single vent. Sleeve length is 39 cm.